MONOPOLY® Night is the major annual fund-raising event to benefit Charity Works, Inc. Join us for a fun-filled evening including a dinner buffet, auctions, prizes, and fast paced championship match with a real "jail" set-up on the premises for players to experience. See Sponsorship Agreement for special benefits. Individual player levels: $275 Mr. / Mrs. Penny Bags Player with 10 chance tickets and 2 drink tickets; $200 Top Hat Player with 5 chance tickets and 1drink ticket; $175 Boardwalk Player; or $150 Park Place Player. Non-player level: $125 seat in the Jailbird Lounge. Individuals and couples will be assigned to tables of four players. Capacity limited to 450 guests, including volunteers. The attire is evening casual. For more information, call or email Chris Renfrow at crenfrow@charityworks.org. 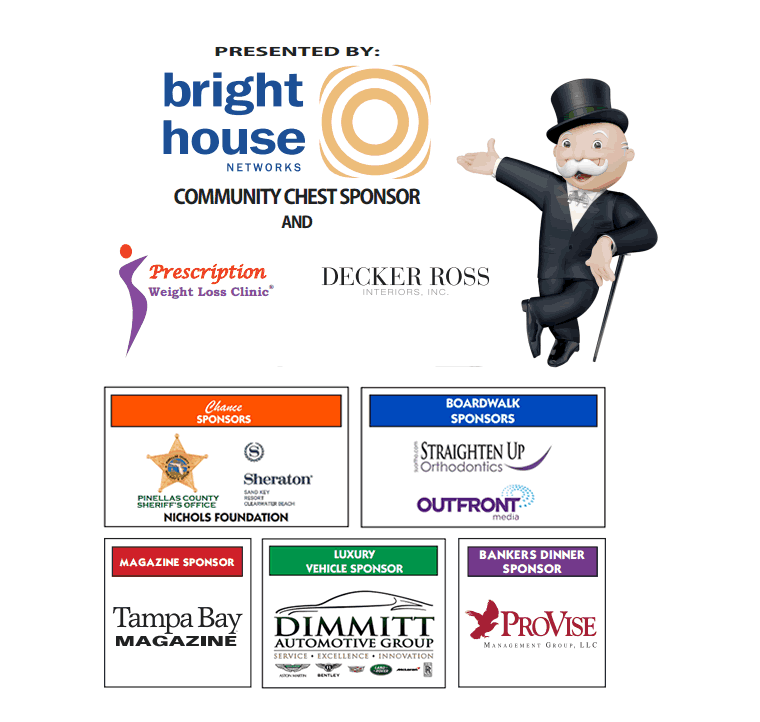 Click here to pre-register for our MONOPOLY® NIGHT 2016 Silent Auction. 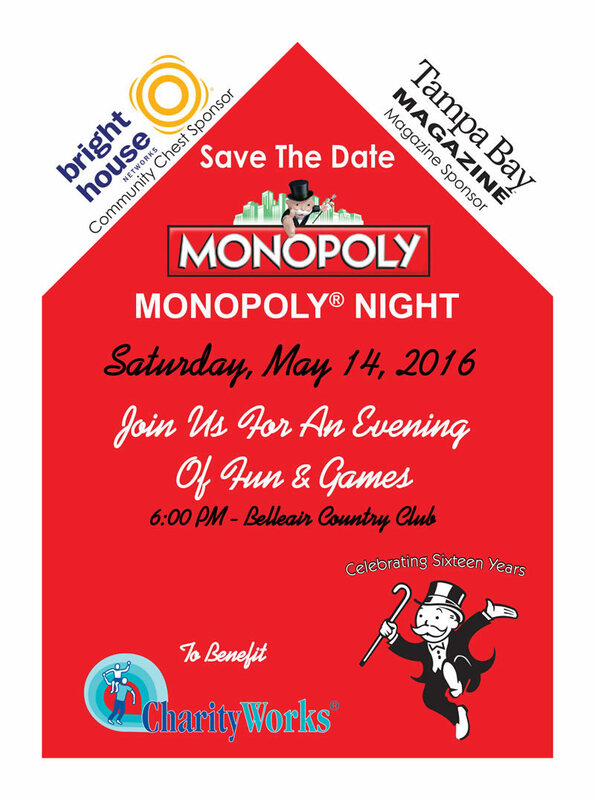 In an effort to support our programs and services, the 16th annual MONOPOLY® Night will be held at the Belleair Country Club on Saturday, May 14, 2016 at 6:00 PM. We invite you to participate as a sponsor and/or an in-kind contributor for our signature fundraising event. Since 1996, we have provided purchasing and management advisory services to numerous local charities and schools. Our mission is to promote charitable giving and aid tax-exempt organizations by assisting them in managing their funds more effectively when those funds are used to acquire needed resources from others. 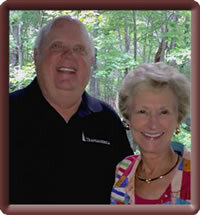 For this year’s championship match, Marti and Russ Kimball will serve as our Honorary Co-Chairs. We encourage you to be among this who’s who crowd where players compete in a 90 minute tournament at tables of four using the world’s most popular board game, MONOPOLY®. We believe there is value in having your company represented at this fun and exciting event that features the award winning and all-time classic real estate trading game. As such we appreciate your support of our annual fundraiser. Volunteers are needed to serve as Bankers during the 90 minute championship match. 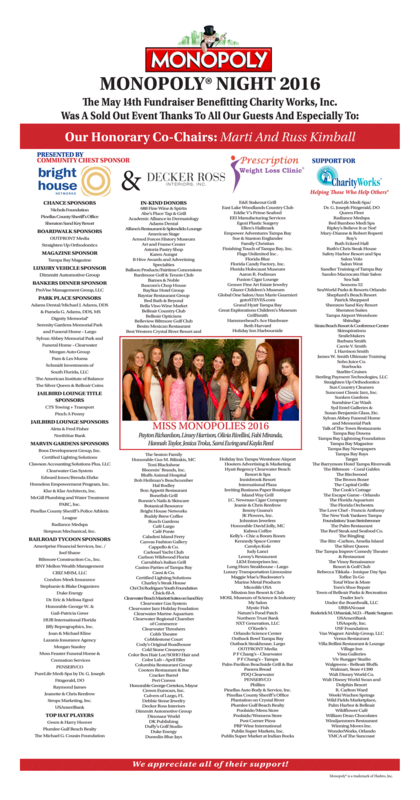 Over 350 guests are expected along with 100 volunteers at the Belleair Country Club on Saturday, May 14, 2016 at 6:00 PM. The time commitment to volunteer is a 1 hour training session that will be held on Wednesday, May 11th, at 6:00 PM and approximately 4 hours the night of the event. Click here to view information on last year's event. The MONOPOLY name and logo, the distinctive design of the game board, the four corner squares, the MR. MONOPOLY name and character, as well as each of the distinctive elements on the board and the playing pieces are trademarks of Hasbro, Inc. for its property’s trading game and game equipment, © 2016 Hasbro, Inc. All rights reserved. Used with permission.